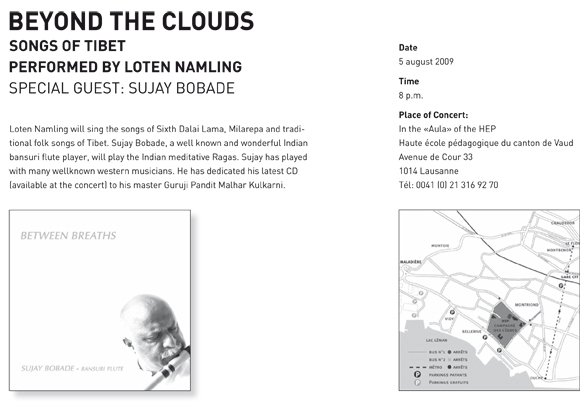 Loten Namling will perform on the 5 th of Augst 2009 in Laussane Switzerland, when His Holiness will give teachings. Sujay Bobade, a wonderful musician and friend from India will appear as special guest in the concert. 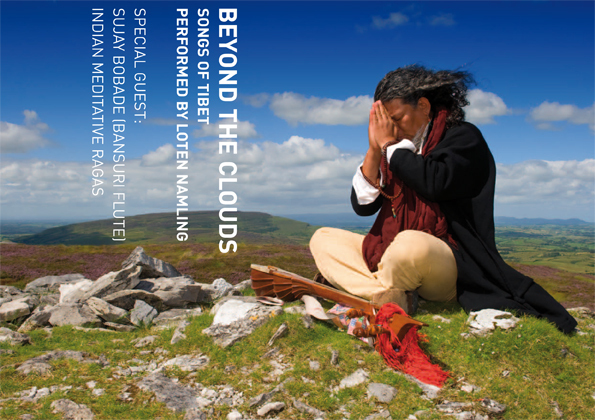 He is a very well known Indian Bansuri flute player and he will perform Indian meditative Ragas on the flute. Feel free to spread this information to friends. PS: Loten Namling will sing on August 13th and 14th 2009 in Linz, Austria within the multi-media-oerformance "Shangri-La, projections of utopia".